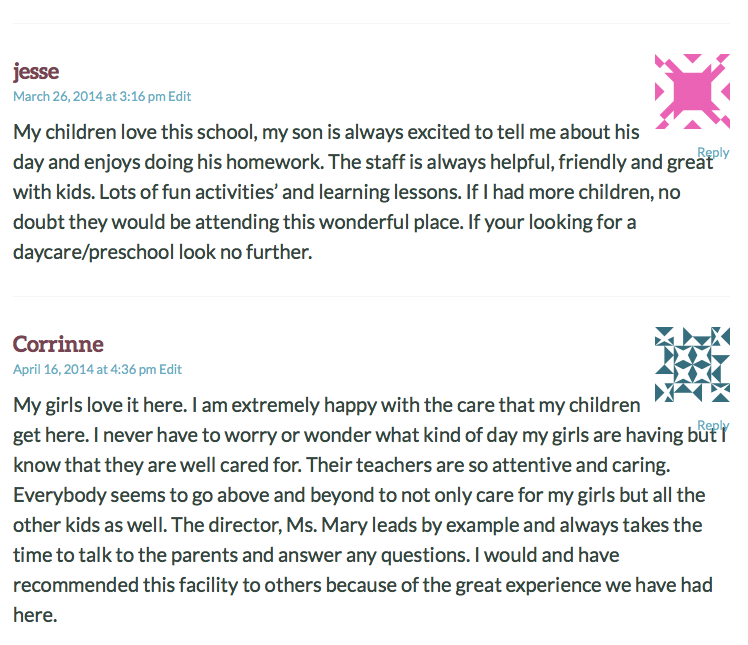 Thank you for taking the time to give us comments letting our staff and administration know how we’re doing, so we can keep making improvements for the better of your child’s environment and academics. 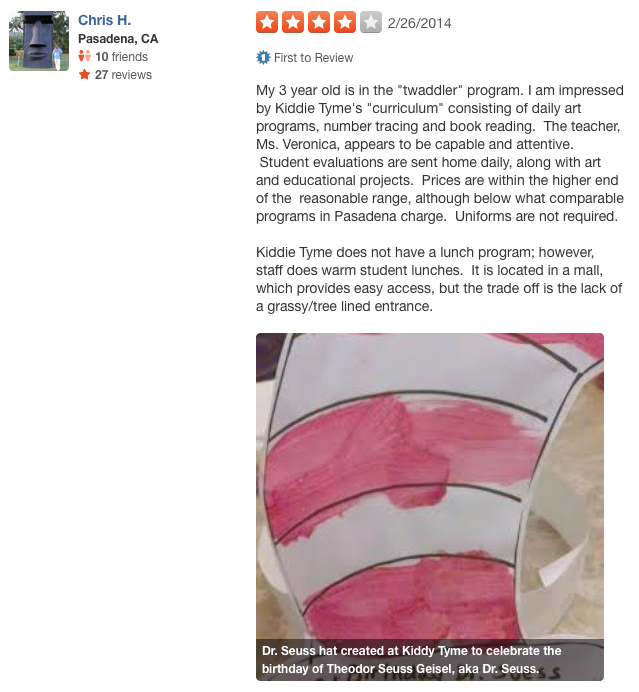 This entry was posted in Reminders, Special Events, Student News and tagged administration, comments, kiddy tyme parents, reviews, staff, yelp. Bookmark the permalink.